Love your spoons and they'll love you back! With proper care, your new Jonathan's® Wild Cherry Spoon will last a lifetime. I recommend that you scrub them with a Scotchbrite® pad using soap and warm water. Occasionally oil them with natural coconut oil using a paper towel or cloth. When you want them to look their best – coconut oil is my favorite! I do not recommend using a dishwasher for any wood, as the drying cycle dehydrates wood too rapidly which can cause it to crack, and cleaning agents may age the surface of the wood. People say my spoons survive their dishwashers just fine but I would keep my Ladles and Inside-out tongs® away from the dishwasher. The color of my spoons will deepen with use and with age, their beauty goes beyond skin deep, becoming the cherished utensils that we always reach for – embodying the internal beauty of usefulness. I spent a few years researching coconut oil, back when it was really hard to find. I tasted and cooked with it and polished my spoons with it. There really is a difference in coconut oils. I wanted my spoon wax to be so pure that I could eat it. After all, it is going on my spoon! So I designed my own spoon wax with organic, wet milled, coconut oil. It has not been processed with high heat. I also include in the recipe organic bees wax for polishing, thus spoon wax ~good enough to eat, or to use on dry skin. My spoon wax does not work on utensils that contains wood-polymer composites and other plastic coatings. These composites are often used to make modern 'wooden kitchen utensils' like the new imported bamboo products. All my Jonathan’s® Spoons are real, solid wood products that love to be treated with my spoon-wax. Sustainable is how I have always done my life and therefore how I do business. I am always amazed every time I cut into a piece of wood; the smell; the grain and the beauty of wood is one of the best parts of my day. Many forests have been ruined because some don’t take the time to see what splendor is surrounding them. My love for this fresh life experience has power to change the lives of those around me. Everyone that helps me make spoons is not permitted to wear perfumes or to smoke on my property, all of that gets in the way of what we strive to do here at my wood-shop. I work hard to keep our environment vibrant and fresh. We are grateful to win awards every time we apply to different ‘sustainable promotions', like the ‘Top Green Picks From the New York International Gift Fair'. We have always been sustainable and we are always working to improve. I find though; I have more fun designing and making spoons than applying for Green awards. 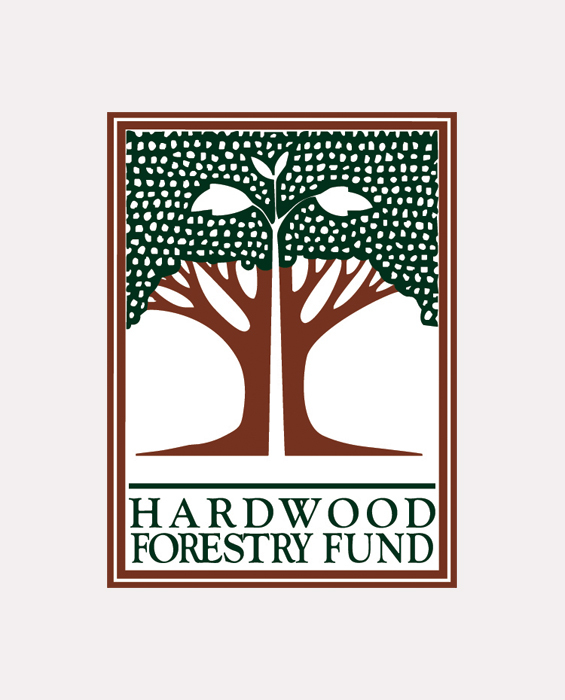 The reason I support the Hardwood Forestry Fund is because I love how thy think about our future. I am also very concerned about the environment my spoon helpers work in. The first thing I did when I built my shop was to put heat in the floor. Not only does it save money for the business, but who wants to make spoons with cold feet? (I had cold feet for many years and promised myself; 'if I ever built a shop it would have warm floors'). We never work around chemicals, polyurethanes, plastics or polymers. We cut our spoons from the best Pennsylvania Cherry Wood we can find, then we creatively sand our spoons; always considering how they will work while cooking or serving. We oil our spoons with food grade mineral oil. I would like to use organic coconut oil, but no one would understand why my prices would have to jump 10% to afford that luxury. I would rather everyone have spoons at the best price I can manage, then they can oil them at home with coconut oil. If you are particularly sensitive give us a call and we are happy to accommodate you. I am always thinking how to make my designs better. I made tongs for ten years before I reinvented the inside-out tongs®. They came about because everyone was catching them in drawers or didn't know which direction to use them. I loved the idea of the reversing tong made popular by KENTUCKY SPRING and several others, inspired from an old folk design. I was frustrated because I wanted my tongs to lay completely flat. So after I figured that out, and received an utility patent, suddenly everyone got shipped a completely different tong than expected. Sometimes I can change one little part of the spoon and discover a better way to save wood. Strength is always most important. My furniture-making back ground is why I am so clear about the strength of wood. When a spoon is designed correctly even the thinnest edge can still be strong. Thin edges are important for cooking, this is something I am dedicated to designing into my spoons; and is the reason I guarantee all my work. I take that edge right to the edge. All my remaining spoon scraps are resourcefully used. We use scraps to heat our homes here in Pennsylvania through the winter. In the summer the scraps go to our local farm to help make bio-char. Our sawdust goes right into the soil to feed and revitalize. An aged, mature cherry tree brings many years of powerful minerals back into our soil that the soil looses in our stressful environment. We also have the best grilling scraps you ever roasted with.